The School of Art is pleased to present an artist lecture by Jennifer Packer, Alex Katz Chair in Painting (Fall ’17). The talk will be presented in Room 215F of the Foundation Building. 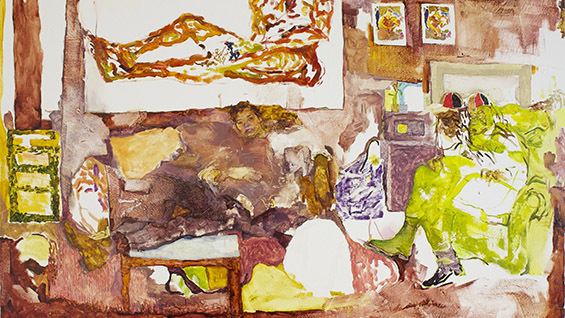 Jennifer Packer creates expressionist portraits, interior scenes, and still lifes that suggest a casual intimacy. Packer views her works as the result of an authentic encounter and exchange. The models for her portraits – commonly friends or family members – are relaxed and seemingly unaware of the artist’s or viewer’s gaze.